Discipline. Integrity. Excellence. To us, these are more than words. They are bedrock principles on which our program is based. 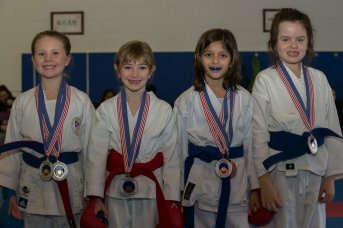 Our karate program is for ages 4 and up and we really do have it all! We have classes for beginners through black belt. Class sizes are reasonable and we have some of the most talented instructors in the country. Our instructors are national level coaches who have made many martial arts dream come true for parents and children alike. 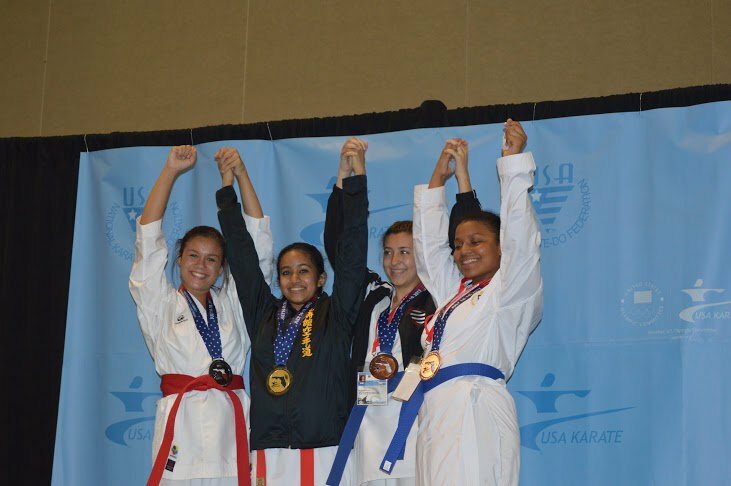 Our instructors are national champions themselves (recognized by the United States Olympic Committee) and have coached over 30 students to become national champions too. This is no ordinary karate program. Respect, Responsibility, Courage and many other desirable traits are taught through physical training and a belief in oneself. Karate classes are sure to improve self-esteem and help anyone gain confidence for the real world. We are proud of the many lives we have changed for the better over the years. We hope we’ll see your son or daughter (or you . . . ) in one of our upcoming classes. All students are expected to train twice per week. Our dojo is located in Westford Ma, and we have students from Westford, MA, Littleton, MA, Acton, MA, Chelmsford, MA and many other surrounding communities. Classes A & D go together (highly recommended to attend two or three classes). Classes B & E go together (must attend two classes or three at option) and classes C + F (Go together, must attend both). Despite the hard work, kids thoroughly enjoy karate class. Our instructors work well with children, using words they understand and making the most mundane drills fun. Children are taught to count loud, demonstrate techniques, answer questions, and partner with everyone in the class. More advanced students take a leadership role. These factors keep attention and energy level high. The physical training kids get in karate enhances their performance in other sports and helps to protect them from injuries. Shotokan karate is the traditional form of karate most widely practiced in Japan. It is a direct style, which emphasizes linear techniques and efficient body movement. Students practice kihon (basics), kata (forms), and kumite (sparring). In kihon, students learn proper technique in punching, striking, kicking, blocking, and stances. In kata, the basics are combined into a prearranged series of techniques. 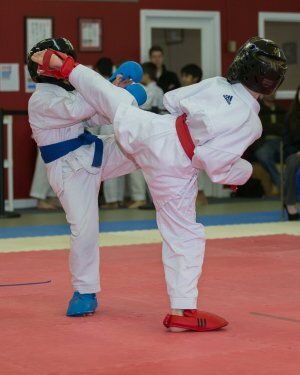 Finally, in kumite, students have the opportunity to draw from their expanding repertoire of techniques in a fast paced, unpredictable match with another student. Why become a martial artist? The benefits of karate and martial arts are many and will empower and enrich your or your child’s life in so many ways. 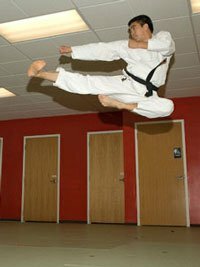 Martial arts students become stronger, more flexible, and agile; greatly enhancing their sense of physical well-being and performance in other sports. Training regularly in the martial arts is a much more effective method of learning self defense than taking a “self defense” course. Becoming confident and instinctual in applying self defense techniques in a fast, high-pressure situation takes time and repeated practice. Martial arts students enjoy a heightened sense of awareness, focus, self confidence, and ability to think on their feet. 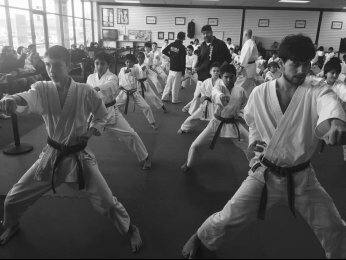 Students naturally apply the valuable lessons learned inside the dojo to daily life outside the dojo; respect for others, attention to detail, patience, balancing confidence & humility, striving for perfection, and perseverance. More advanced students naturally take a leadership role in class, building confidence, communication and leadership skills, that can be applied in every other area of their lives. In the dojo, safety is a top priority. Our instructors monitor contact very closely. Beginners do not experience the same contact as an advanced student. Full contact sparring is not practiced. Students do not spar until they have exhibited the ability to control techniques. Strong basic skills provide the foundation for good sparring. 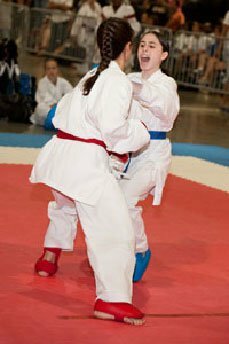 AAU: 8x New England Kumite Champion Winner of Universe.